Icicles form on the walkway at North Avenue Beach of Lake Michigan in Chicago on Tuesday. The Salvation Army in Chicago is providing hot meals to those in need. In addition to providing hot meals from their large red canteen food trucks, the Salvation Army is handing out coats, gloves, scarves, hats and other winter necessities. Vehicles are providing rides to warming shelters, and teams are making extra nighttime trips out across the city to check up on makeshift camps and other places the homeless congregate. And this kind of outreach is going on in cities all across the Midwest. The emergency declarations help state and local agencies tap into extra resources and better coordinate relief and response services. Minnesota Gov. Tim Walz considered shuttering all schools statewide, but decided against it. "In many cases, these local officials know best," Walz told reporters Tuesday. "And one of the things that I'm concerned about is, is when you close a school sometimes, that is the place of warmth and food that is not available elsewhere." "We were generally pretty happy to see it coming," says Steve Faivre, who farms with his family in DeKalb County in Northern Illinois. "These frosts are really kind of good, these deep cold cycles, because it'll generally help freeze out and knock off some of the pests in the field. It also helps break up the soil, with the freezing and thawing." The other good news is that forecasters are predicting a relative heat wave this weekend, with temperatures in Chicago expected to climb into the 40s — that's 40 degrees above zero. You know it's cold in Chicago when TV video shows the railroad tracks on fire. Steel rails contract in exceptional cold. So to warm them up, transit workers stretch rope soaked in kerosene along the tracks, and they burn it. The temperature in Chicago was 18 degrees below zero this morning, and it was even colder elsewhere. What's it feel like to be in that cold? NPR's David Schaper found out, so you don't have to. DAVID SCHAPER, BYLINE: When it's this cold outside, pens won't write. You got to use pencil. And batteries and digital recorders die quickly, so I got to talk fast. One of the ways to tell it's getting really, really cold is how the snow sounds when you walk on it. The colder it gets, the more it kind of crunches and squeaks. Anyone under the age of about 35 living in Chicago their whole lives has probably never heard the snow squeak like this because the last time it was this cold here was 1985. RICHARD VARGAS: Oh, this cold is very dangerous. Hypothermia can set in within minutes. SCHAPER: Richard Vargas is with The Salvation Army in Chicago. VARGAS: So if someone's out here and they're exposed or don't have the adequate amount of clothing on, it could be very treacherous actually. UNIDENTIFIED SALVATION ARMY EMPLOYEE: You've got gloves, bro? 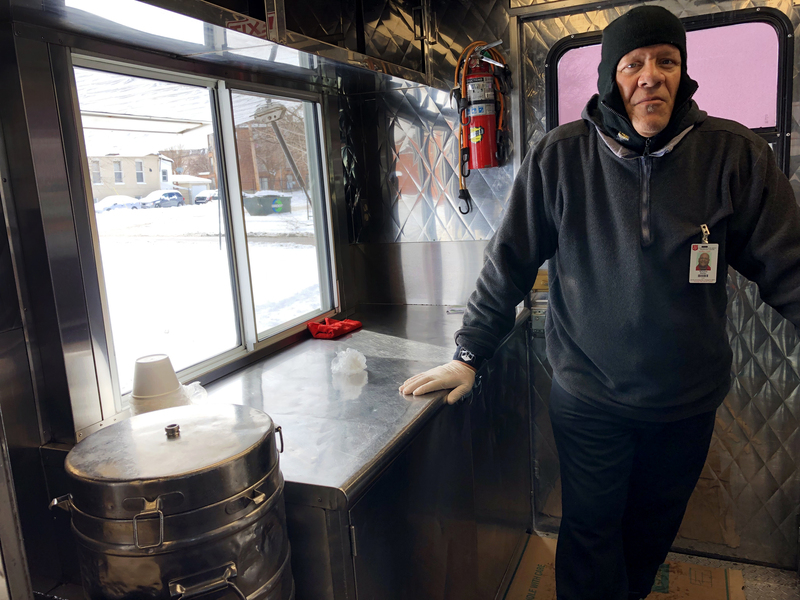 SCHAPER: ...The Salvation Army is handing out gloves, scarves and hats, giving rides to warming shelters and making extra nighttime trips out to check up on homeless camps. And this kind of outreach is going on in cities all across the Midwest, as the coldest weather in decades drops temperatures well below zero and will likely keep them there for days. The polar vortex, which usually sits over the Arctic, is being pushed south by an unseasonably warm air mass to the north. National Weather Service meteorologist Rich Otto says that bitterly cold air is being whipped by strong northerly winds, creating dangerous wind chills. RICH OTTO: Values as cold as minus 30 to minus 50 degrees in a couple of locations - and even colder as you get farther north into parts of Minnesota, where some of those wind chills could get down to minus 60. SCHAPER: Wind-chill warnings and advisories stretch from the Dakotas to western Pennsylvania. Airlines have canceled thousands of flights as they tried to limit outdoor workers' exposure to the cold. And the governors of Wisconsin, Michigan and Illinois have declared emergencies. Here's Illinois governor J.B. Pritzker. J.B. PRITZKER: This is very serious weather, and my administration is not underestimating the gravity of this in how we respond. We are undertaking a coordinated effort to keep people safe, but we need all Illinoisans to do their part. SCHAPER: Colleges - from the University of South Dakota to Kent State in Ohio - are canceling classes. 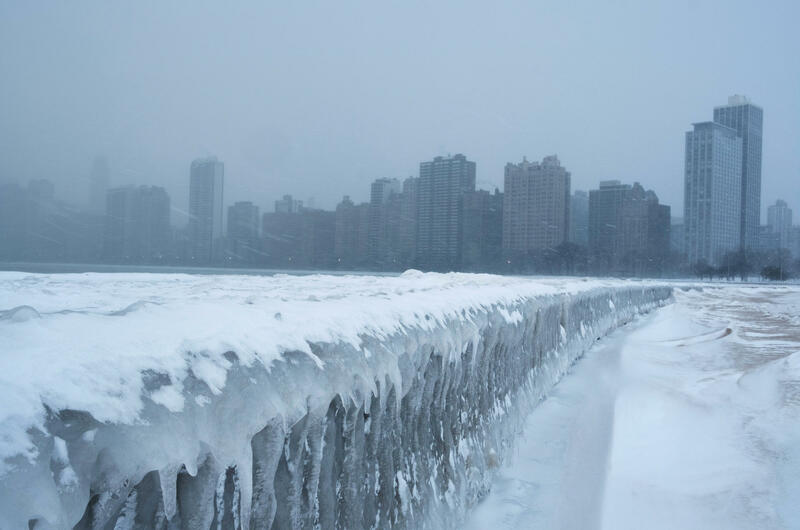 Schools in Chicago, Milwaukee, Detroit, St. Louis and Minneapolis are all closed. Minnesota Governor Tim Walz considered shuttering all schools statewide but decided against it. TIM WALZ: In many cases, these local officials know best. And one of the things that I'm concerned about is - is when you close a school sometimes, that is the place of warmth and food that is not available elsewhere. SCHAPER: The U.S. Postal Service is suspending mail delivery today in Minnesota, Iowa, western Wisconsin and western Illinois. But not everyone is dreading this deep freeze. STEVE FAIVRE: We were generally pretty happy to see it coming. SCHAPER: Steve Faivre farms with his family in northern Illinois. FAIVRE: These frosts are really kind of good - these deep-cold cycles - because it'll generally help freeze out and knock off some of the pests in the field. It also helps break up the soil with the freezing and thawing. 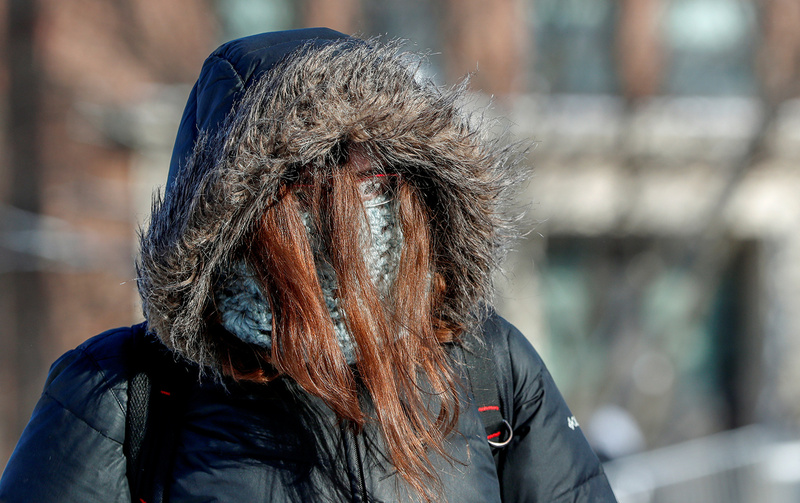 SCHAPER: The other good news is that forecasters call for a heat wave this weekend with temperatures in Chicago expected to climb into the 40s - above zero. David Schaper, NPR News, Chicago. (SOUNDBITE OF MICHITA'S "MIZORE") Transcript provided by NPR, Copyright NPR.